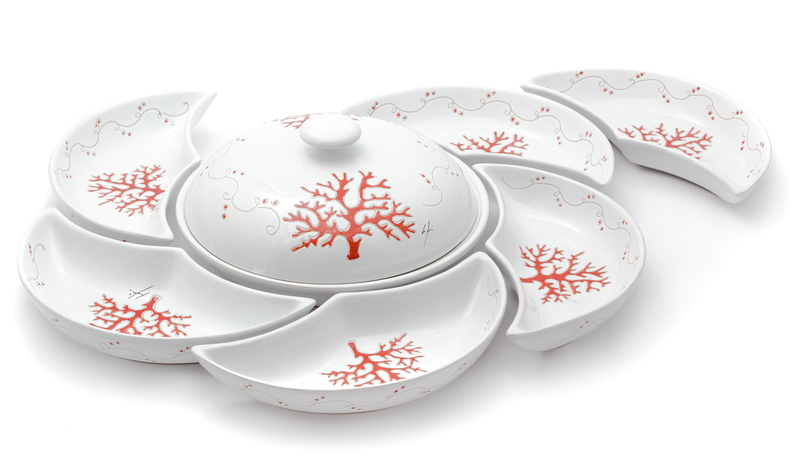 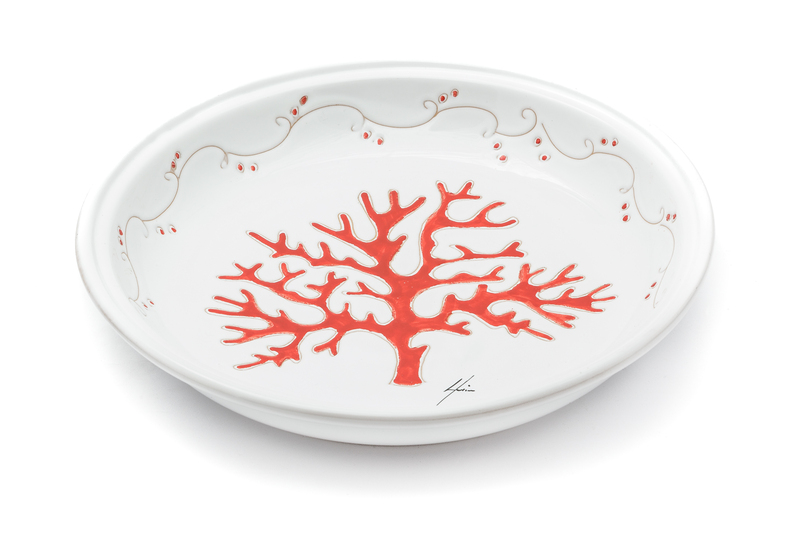 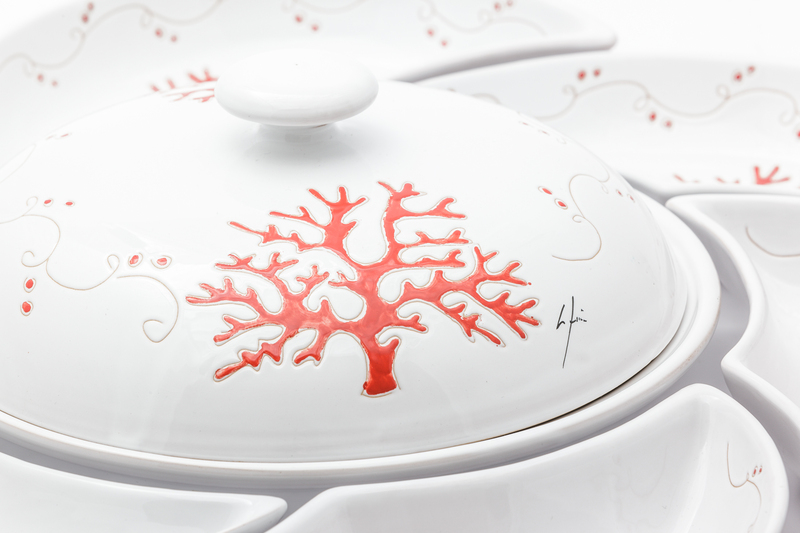 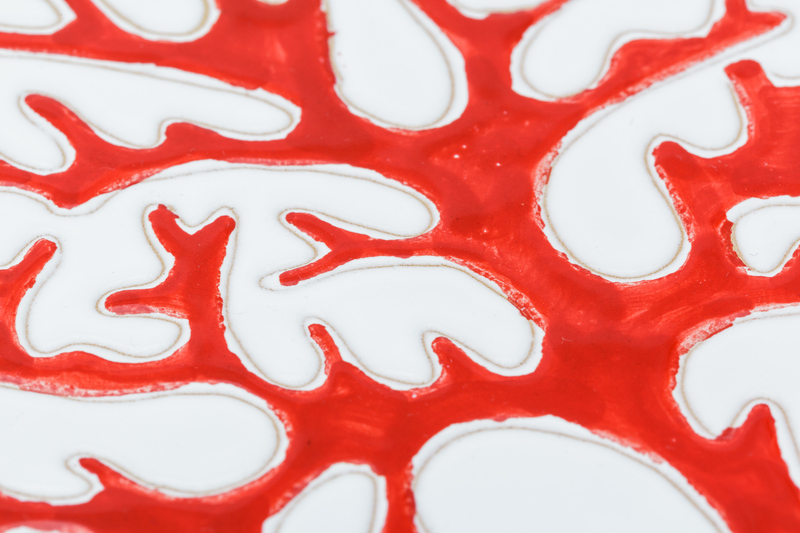 This elegant plate features different compositional forms, made of white ceramic and decorated with coral motifs. 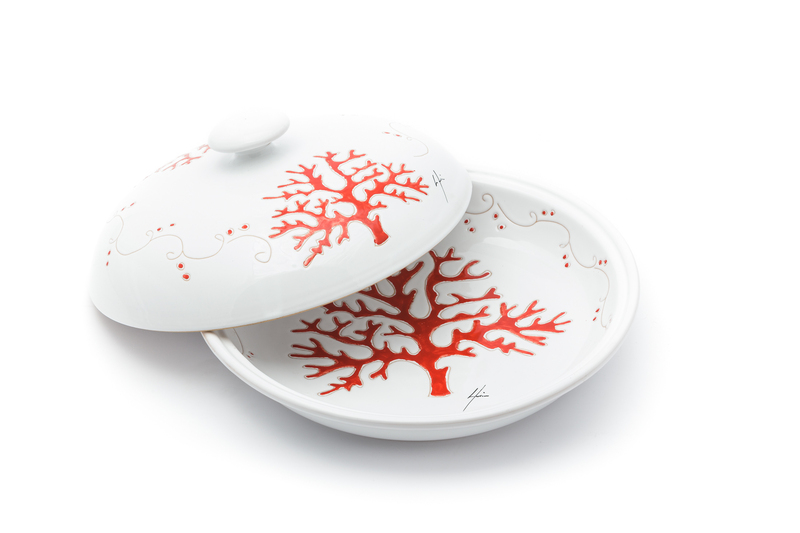 The lidded central container, originally intended as a rice bowl, may also be used as a platter, matching the rest of the plates. 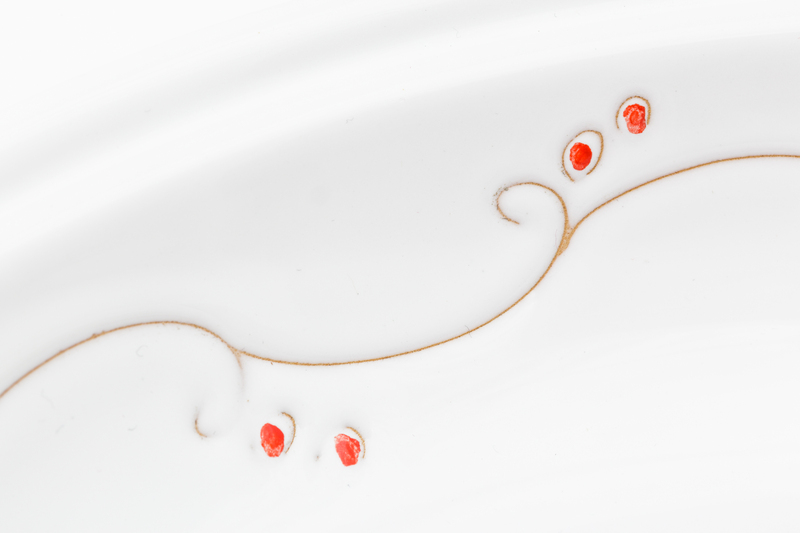 Handcrafted into precious individual pieces, it is part of the Linea Corallo collection, that icncludes plates and a wide range of matching dining set elements.